Streaming media platforms remain profitable for the music business -- especially with paid streaming subscriptions. U.S. music industry revenues rose 16.5% to $8.7 billion in 2017 (from $7.5 billion in 2016), according to the Recording Industry Association of America. A year ago, music revenues had another double-digit hike -- 12% higher from $6.7 billion in 2015. In 2017, streaming platforms accounted for nearly two-thirds of all U.S. industry revenue, rising 43% to $5.7 billion, up 43%. Paid subscriptions of full on-demand services grew 56% to 35.3 million subscriptions in 2017, with limited-tier subscriptions up 11%. Last year, paid music subscriptions from Pandora, Spotify, Apple Music,, iHeart Radio, Amazon and other Internet radio rose sharply by 63%, totaling $4 billion. Ad-supported streaming services such as YouTube, Vevo and ad-supported Spotify, rose 35% to $659 million. Total revenues from digital and customized radio services were down 5% to $914 million. This includes revenues from SoundExchange, a nonprofit collective rights management organization. Streaming now accounts for a 65% share of all music industry revenues, with physical sales at 17% and digital downloads account for 15%. 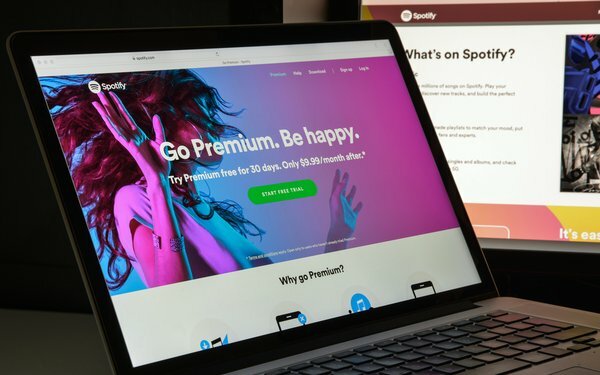 Although physical music sales -- including CDs and vinyl -- surpassed digital downloads for the first time since 2011, with $1.5 billion in revenue, revenues were down 4% from 2016. That’s because revenues from digital downloads had a much steeper drop at 25%, to $1.3 billion in 2017. Vinyl recording revenue was up 10% to $395 million. Wholesale music revenues were up 12.6% to $5.9 billion.